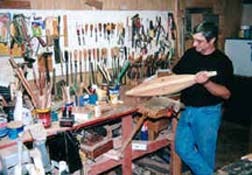 Bill plays one of his first dulcimers made in the seventies. 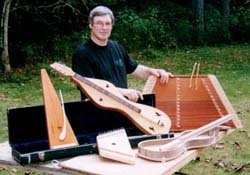 Bill Berg has been making musical instruments for over thirty years. 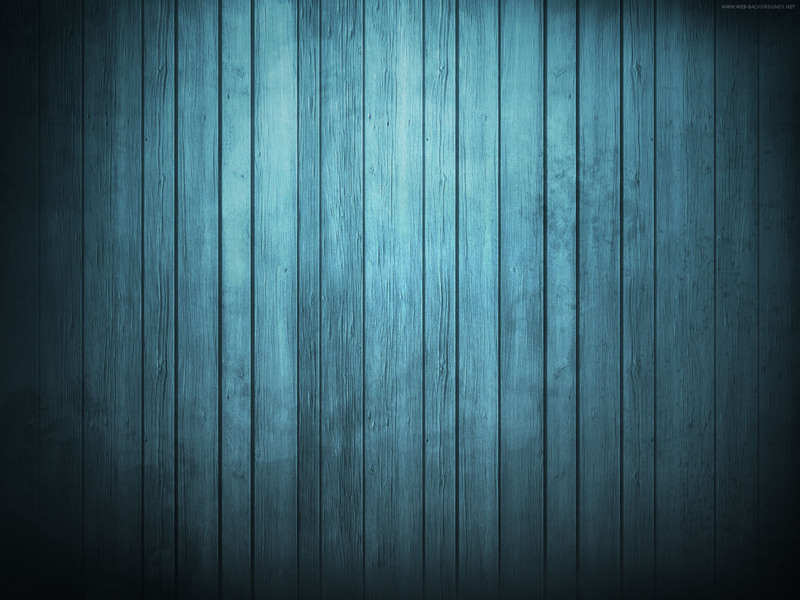 He enjoys working in his shop located in Brown County, Indiana. Bill finds it fascinating to take a piece of raw wood cutting it and finding its beauty within, which he makes into exceptional musical instruments. He handcrafts each instrument and critiques it until he is satisfied with the exact tone and sound quality he feels it should produce. Bill Berg doesn't call himself an artist, just a craftsman. However the creations that he makes are definitely a form of art beyond anyone's imagination. Bill sells his musical instruments on his online retail website www.mountainmademusic.com through taking orders online or calls to 812-372-8576. Each year Bill attends two Indiana Festivals as a demonstrator and vendor: The Vincennes Rendezvous over Memorial Weekend in May in Vincennes, Indiana and The Feast of the Hunter's Moon in the Fall - this year Sept. 30th & Oct. 1st 2017, in Lafayette, Indiana. Both are huge period events with history and traditional craftsmen from the period depicting strong Indiana history and culture. Great time to meet Bill in person with his instruments and purchase one of his handcrafted masterpieces. 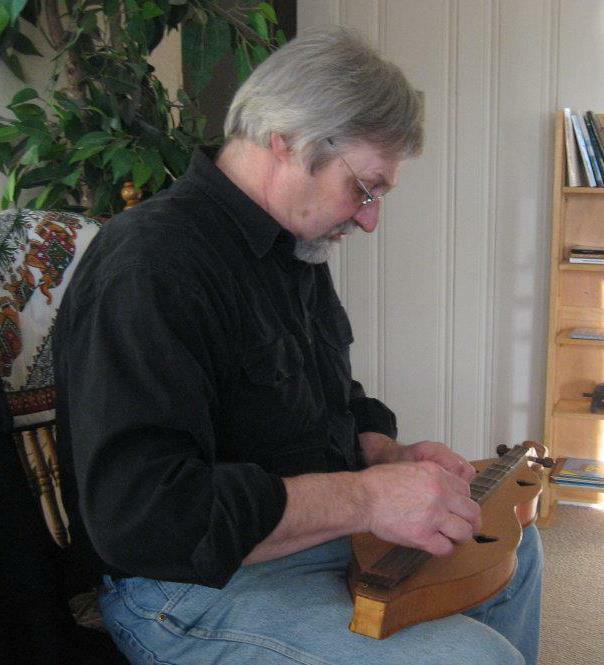 See Bill Playing one of his handcrafted mountain dulcimers! Click here to watch Bill making dulcimers!